Recently, one of our members (Pete K.) created a group on chess.com for the Contra Costa Chess Club. Even if you don't make it by the club on Mondays or Thursdays (and especially if you do), next time you are on chess.com look up our group and join! This can give the club an opportunity to play matches with other clubs around the bay and around the world. 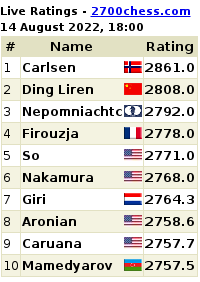 If you are not currently a member of chess.com, it is free to join. They offer live play and play by e-mail as well as a large amount of content to help you improve your game (my favorite is Tactics Trainer). Feel free to add your user name to the comments if you wish to share. :) Or just challenge one of us. Special thanks to Pete K. for setting this up! !